Are you starting a business or planning to improve an existing one? If so, our web hosting services Perth are exactly what you need! Aleph IT is a company based in Perth that has a team of experts that can provide you the perfect web hosting services. fully understand its entire process. After all, we are here to fill in the gap for you. A website is actually just collection of files, and the web host is the server upon which all of these files are stored. This is how your webpage comes to life. As the owner, it is ideal that you have full control over the contents of your website. If you keep experiencing problems with your host, maybe their computer servers aren’t running well. As a result, your site either tends to go down a lot or it runs slowly. You wouldn’t want that for your customers! It’s a basic service, but an incredibly important one. You can assured the stability of your website with our web hosting services Perth. 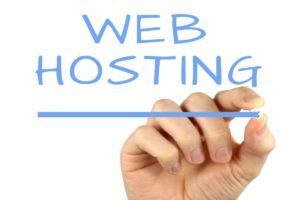 We offer different web hosting services in Perth and this can be confusing for you if you don’t have basic knowledge about each one of them. In Aleph IT, we are proactive with the services we provide — we help our customers decide what’s best for their business. Generally, the three types of web hosting are shared, VPS (virtual private server), and dedicated. In shared hosting, a single computer server stores and runs multiple websites. It is cheaper than the rest, but since all sites compete for computer resources, it may affect the speed stability of other sites on the server. VPS (virtual private server) hosting is a virtual private server that is very similar to a shared server. Multiple websites are housed on a single server. However, server resources are evenly divided into blocks among all sites. In Dedicated hosting, a dedicated server is one that is only running a single site. The entire physical server holds everything for that site. It is expensive, but is best for extremely large or busy websites. If the hardware that your site is run on malfunctions, your site can be moved instantly without noticeable interruption through our cloud hosting, which is a form of VPS that works anywhere. A good-looking and responsive website is nothing if it doesn’t run smoothly. It needs to work 24/7 in order for your business to generate income. We want to ensure that you are saved from the hassle of server crashes. Our hosting service grows with your business. If your traffic increases, so does our hosting. We guarantee a fast and reliable website for you! We deal with malware, viruses and other problems by maintaining backups and ensuring that our security patches and software are updated. In cases wherein hacking is attempted, we are always ready to protect you. Waste your time no longer- WE can do the job for YOU. What are you waiting for? Contact us today for a free quote and experience for yourself the best web hosting services Perth! This entry was posted in Aleph IT Services and tagged best web hosting services, cheap web hosting services, google web hosting services, web hosting, web hosting services.